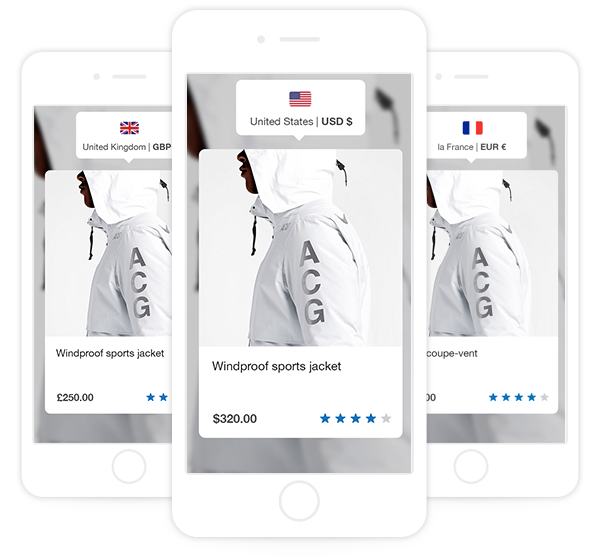 Translate, localize and launch your online webstore in over 60 countries, and help grow your international sales, with PayPal Global Sellers in partnership with Webinterpret. We translate your product titles and attributes and convert your prices based on current exchange rates. 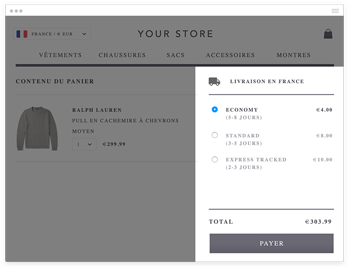 You can also set specific pricing on a country level. We provide a fully localized, secure and hosted international checkout process that allows you to accept payment in 25 currencies. We offer low international shipping costs. Simply send your packages to our US shipping hub and we’ll handle the logistics and delivery. 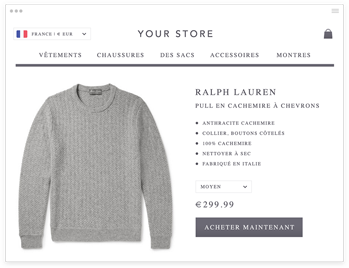 We know where online buyers are browsing from, so if your store is available in their country we’ll automatically inform them with a message in their language. By translating and localizing your content, we help international search engines better index your page. The translation and conversion services that Webinterpret offer are free. Standard PayPal fees, including but not limited to cross border fees, will apply. Exchange rates and spreads will apply to currency conversion as explained in the PayPal User Agreement. What languages will my website be translated to? The product titles and attributes of your website are limited to five languages - French, German, Italian, Spanish and English. 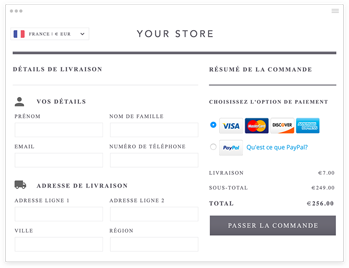 Your webstore will be translated to additional languages as supported by Webinterpret (see Store Owner FAQs). What eCommerce platform(s) do you support? We support popular platforms such as Magento, Shopify, WooCommerce and Bigcommerce. See detailed FAQ for supported versions. PayPal recommends this service, but it is offered and performed by Webinterpret.